I just listened to an episode of the On Being podcast while I chopped veggies to put in the crockpot, and there was a Jesuit priest who had almost the same thesis as what I have outlined for my third book. The “old me” would be frustrated and think that this work is already done, and how can I compete. But the “new me” understands that maybe not everyone can listen to or learn from a priest and we need to hear the messages in many ways. I translate spirituality and science for moms who are busy raising kids and running a household and I don’t know how many of those examples he can give. I pull some science from the children’s books that I am reading at bedtime and mix it with some cutting edge research and make it accessible for us all to start a conversation about how all of the pieces fit together. He also talked about meeting people where they are, being at that edge… being the Antevasin basically! In the interview with Father James Martin called Finding God in All Things, there were so many things that he mentioned that reminded me of the importance of the work that I do, which is to bring these amazing and beautiful messages together across those boundaries. It is all intricately and beautifully connected and we need to look at all of it to learn how to heal our wounds from abuse and trauma so that we can fulfill our soul-purpose and find peace and joy. I love the idea of being a “contemplative in action”, which is a term that Father Martin uses in the interview. I’ve been reading St. Theresa of Avila’s book The Interior Castle and she mentions how lucky she is to be in a convent and she gives so much credit to the people who are trying to heal and to be closer to God while also running businesses and raising families. I think she was probably trying to include men and women when she said that, and I think she’d impressed to see all the Mom-preneurs today who are doing both at the same time! In my second book I share about how my “Mothering Mission” actually helped me to find all the places where I needed to heal as I went through each those ages and stages of development with my kids. I love the idea of living a quiet, contemplative life, but I think contemplating my full life of family busyness and oh-so-much noise and action has taught me so much more and pushed me to do this work in the world. I want to break those inherited patterns of abuse and trauma and make the world a better place for all of our kids. When Father Martin speaks of St. Ignatius and how he “wanted us to be free of anything that kept us from following God” it reminds me of how St. Theresa teaches us to let go of all the things of this world that are clouding our vision, keeping us busy, and keeping us separated from God. She speaks of 7 levels that you go through as you learn to heal from those old traumas and family stories and things of this physical world that are keeping you from going deeper into your soul. Her work reminded me of the energy work that I had learned to do in which you clear out your 7 chakras. I loved that so much of the process that she was able to tune in to in 16th century Spain was similar to ancient Eastern practices and modern Quantum Energy Techniques. I share about how I find her work and how I incorporated it into my life in my second book Magdalena Moments: 7 Steps to Becoming your True Self which is coming soon. In this interview, Fr. Martin spoke of something from Ignatius that reminds me of what I call those Magdalena Moments when I take steps towards becoming my True Self. I want to live the life that God showed me in my dreams. Whenever I am tired of doing the work, I think of my daughter and how I want things to be better when she is my age and it keeps me going. I need to be patient and gentle with myself as I look for opportunities to take another step towards that future. But I keep looking for ways to be more like the person that I know I was meant to be, the person that is probably hiding underneath all of the emotional armor that I put on as I learned how to survive. 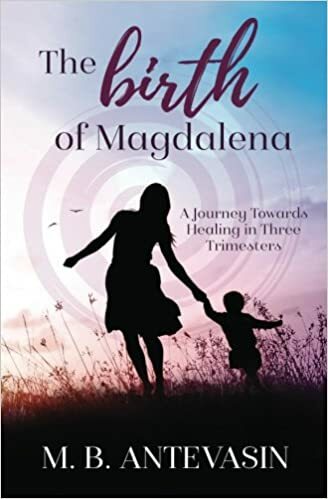 It’s very interesting to hear him describe this as I am finishing my edits on Magdalena Moments and sharing all of those steps that I took as I listened to the ways in which Spirit led me towards healing my inter-generational family trauma. So many ways in which I kept functioning, even when I was hurting were just to be strong, be in control, look like I’ve got it all figured out, and tell myself that I didn’t need good things anyway. So it is a good thing that there is something much bigger than me out there that believes that I deserve peace and joy, even when I have trouble feeling it. This journey from victim to survivor took many steps and a lot of love and support along the way. Now I am ready to start putting down all of those survivor tools, so that I can start to thrive and live in joy. I share some of those steps with you so that you can try something similar or look for similar inspiration on your own journey, but also so that you will not be frustrated or become discouraged if you find that like me, growth happens in phases. Sometimes if the transformation seems to be moving slowly, maybe it just means that you are giving yourself time to stretch out your wings before you take flight. Next Next post: The Season to Believe.